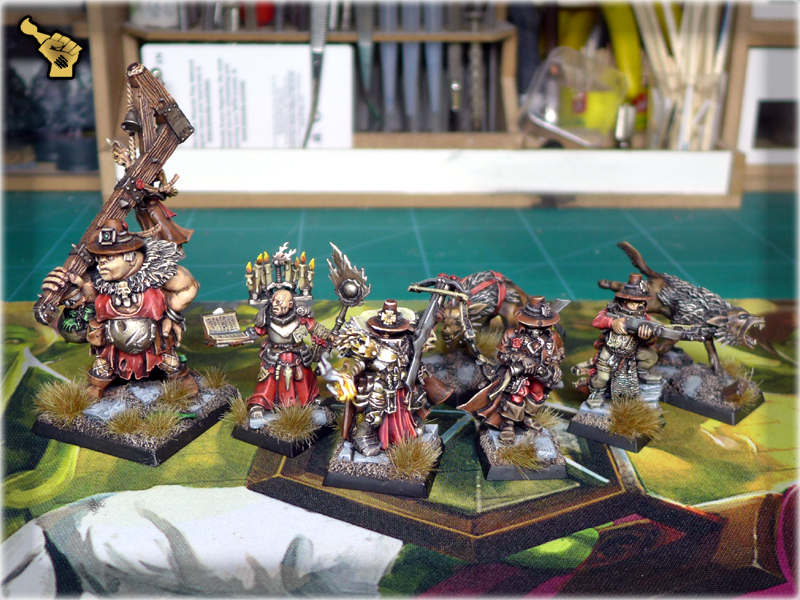 Last weeks I’ve been diverting more and more attention to Mordheim. Maybe that’s because I’ve been playing PC version lately. Either way, every couple of years I get that ‘Mordheim fever’ and delve deep into my imagination, staying up whole nights, making something cool for my own Mordheim collection. 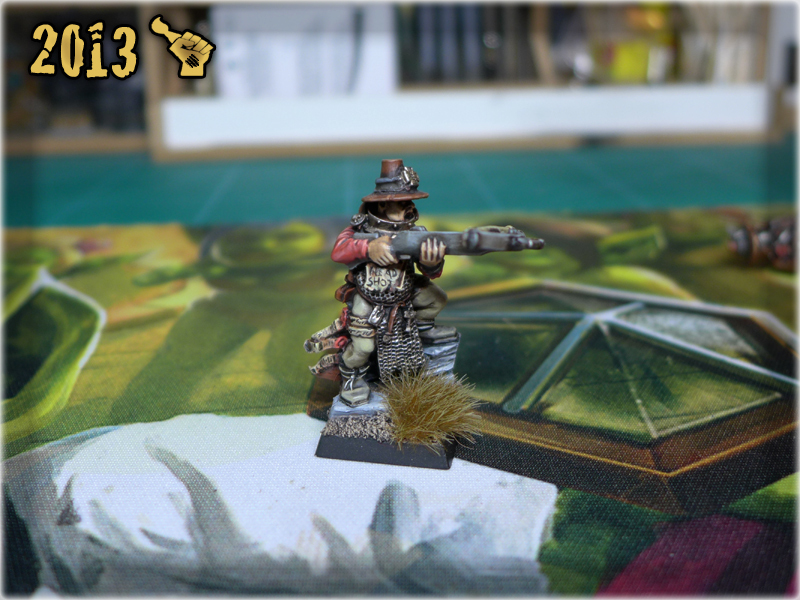 Right now I work on a brand new Mordheim gaming board thus I figured out to revive an old Tutorial from Mordheim Treasure Hunters blog and add it to the collection here at Scarhandpainting. More articles are already prepared, but I somehow felt like this one will be a nice way to close the 2016th. 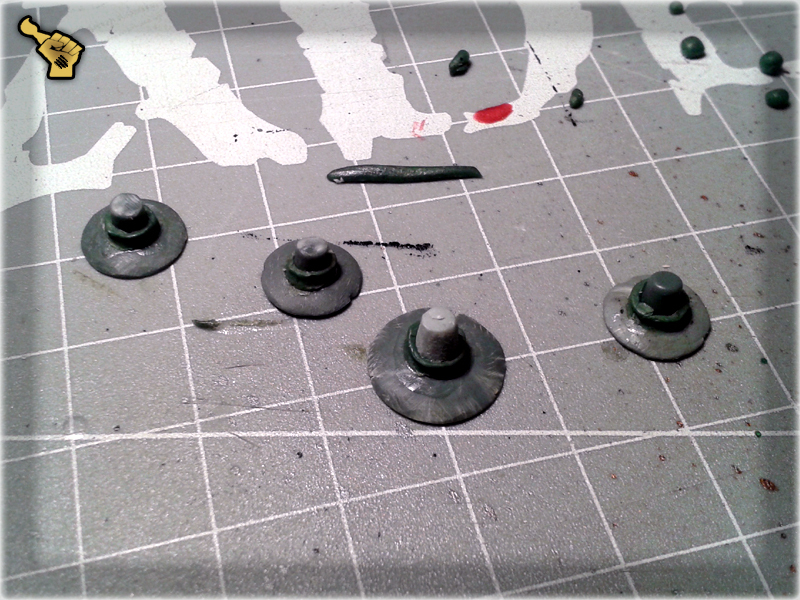 2 I then glued the pieces together, prepared a piece of Green Stuff and rolled it into a thin line. 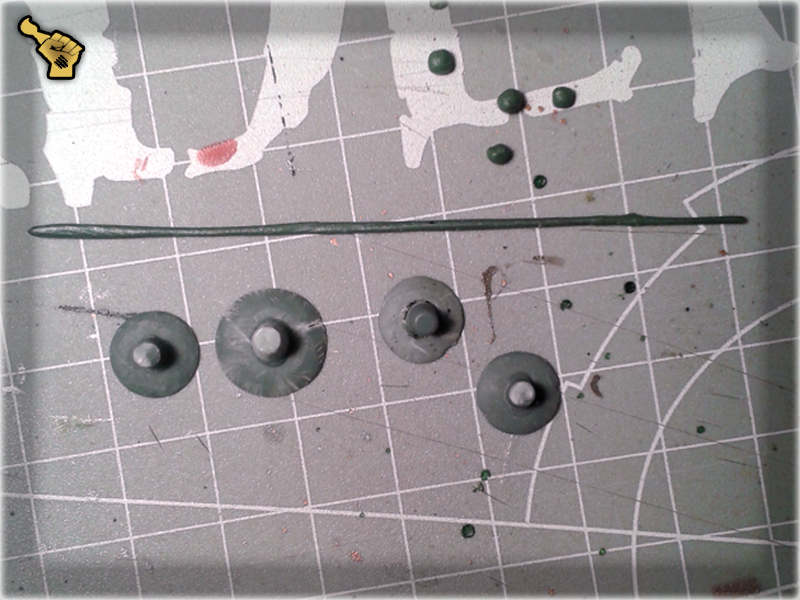 I also cut small pieces of Green Stuff loose and rolled them into small balls. 3 I applied some Super Glue around the connection between hat's top and brim. I then applied a Green Stuff rolled piece onto the glue and flattened it with a Sculpting Tool modelling it into a strap. 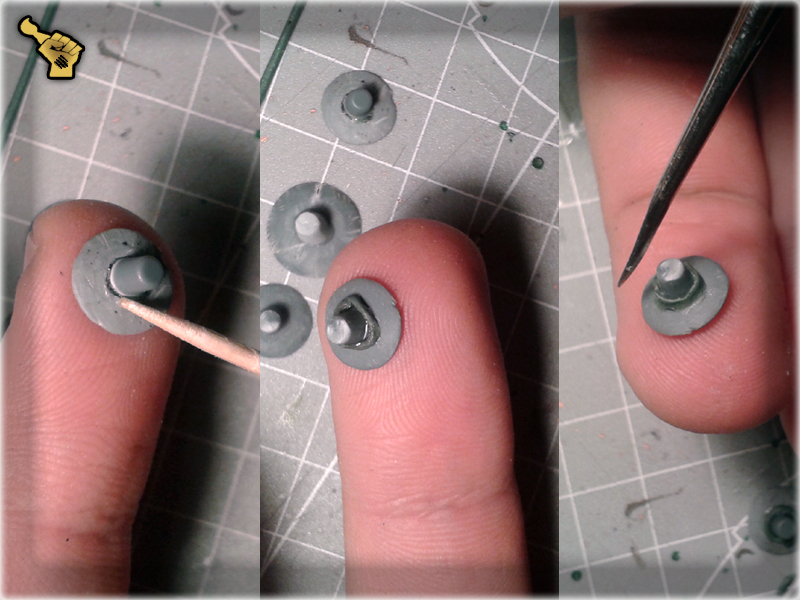 For this purpose I used a rounded part just behind the tip of a Sculpting Tool. 4 I smoothed the texture of starps using a Sculpting Tool dipped in water. 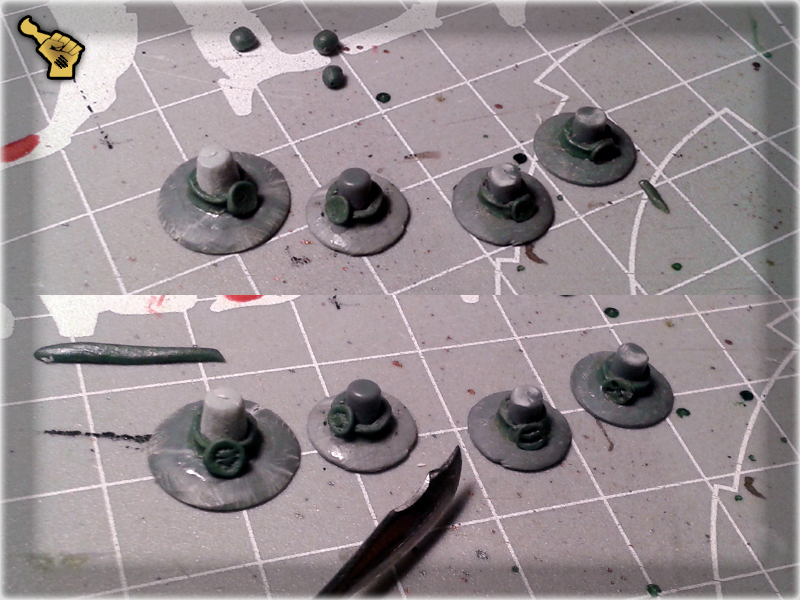 I then left the hats to dry. 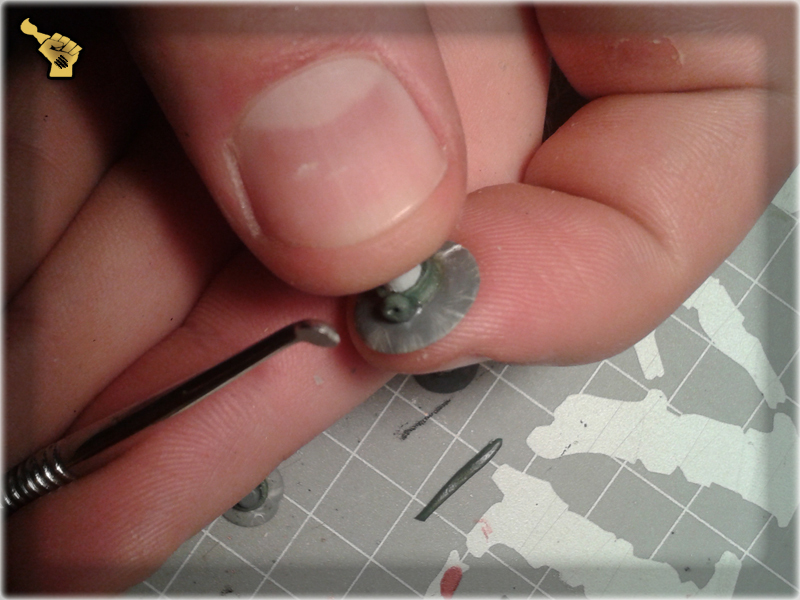 5 Once the Green Stuff dried out I applied Super Glue onto a piece of plastic, sticked a Green Stuff ball onto the tip of a Sculpting Tool, gently dipped it in the glue and applied it to a hat's strip. 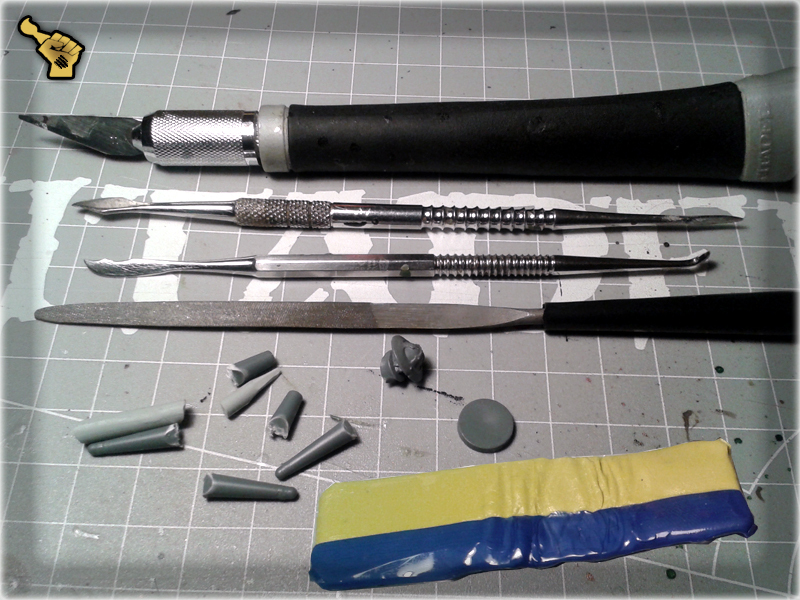 I also flattened the ball with the other (rounded) end of a Sculpting Tool thus creating a clasp. 6 In the end I modelled a pattern on each clasp with the sharp tip of a Sculpting Tool. Once it was done I let the Green Stuff to dry out. 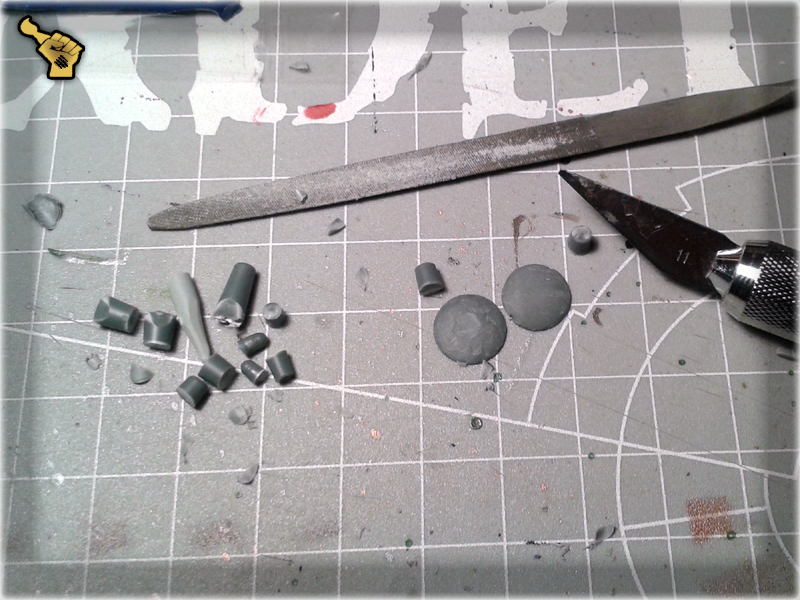 Instead of modelling a clasp yourself, you can use any well sized bitz or even a piece of plastic. Actually anything fitting the hat's strap will do. I hope you like the tutorial. It is an old piece but I really wanted to have it here at Scarhandpainting.